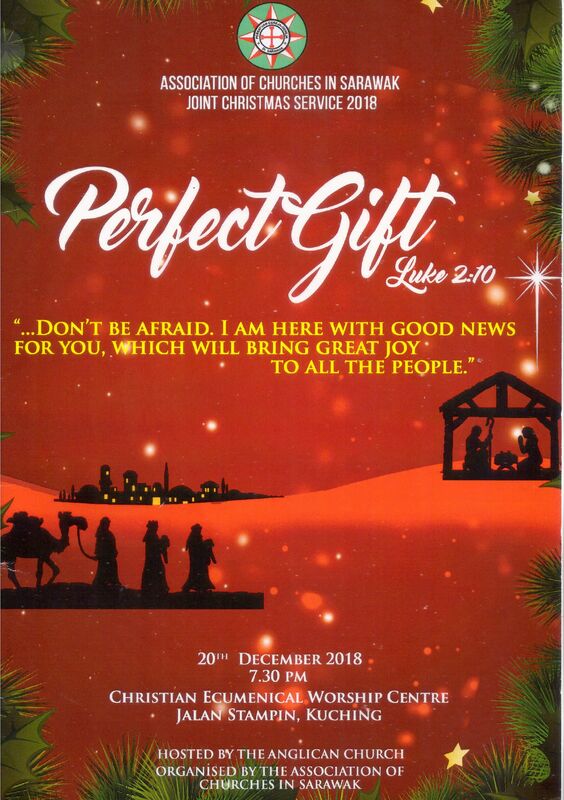 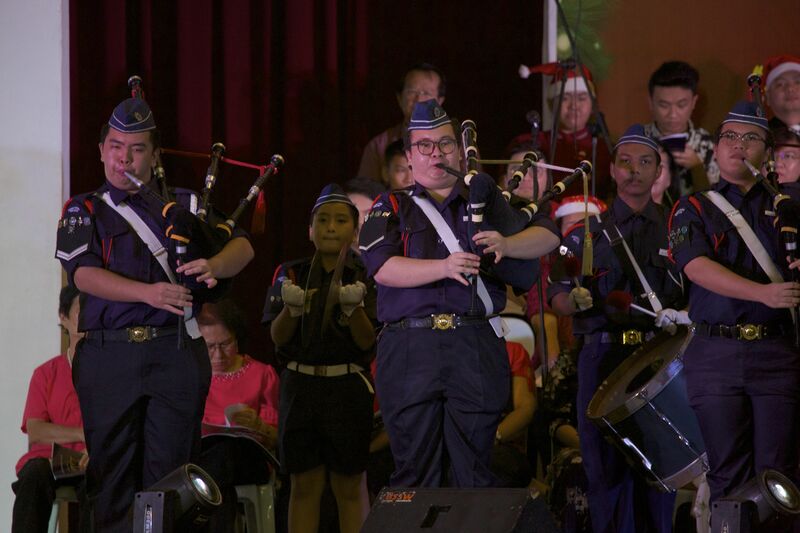 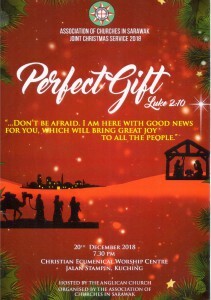 This year Joint Christmas Service 2018 with the theme “Perfect Gift” according to the Gospel of St. Luke 2:10 was held at the Christian Ecumenical Worship Centre on 20th December 2018 at 7.30pm. 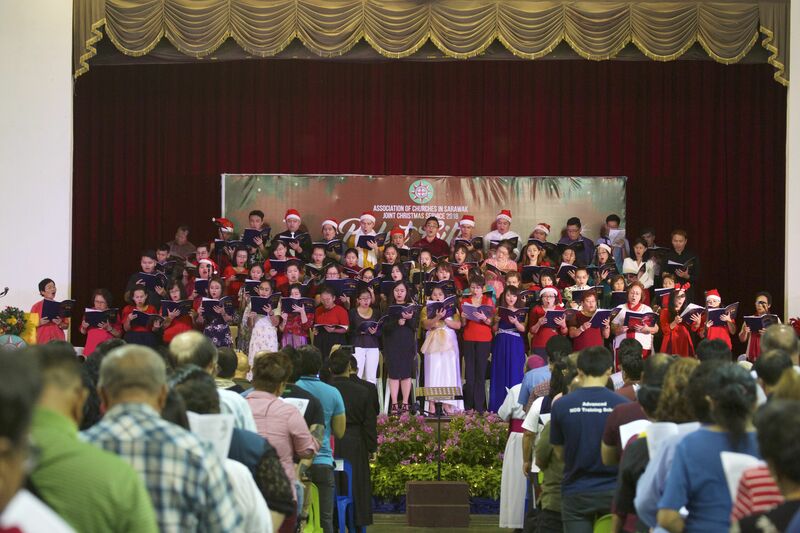 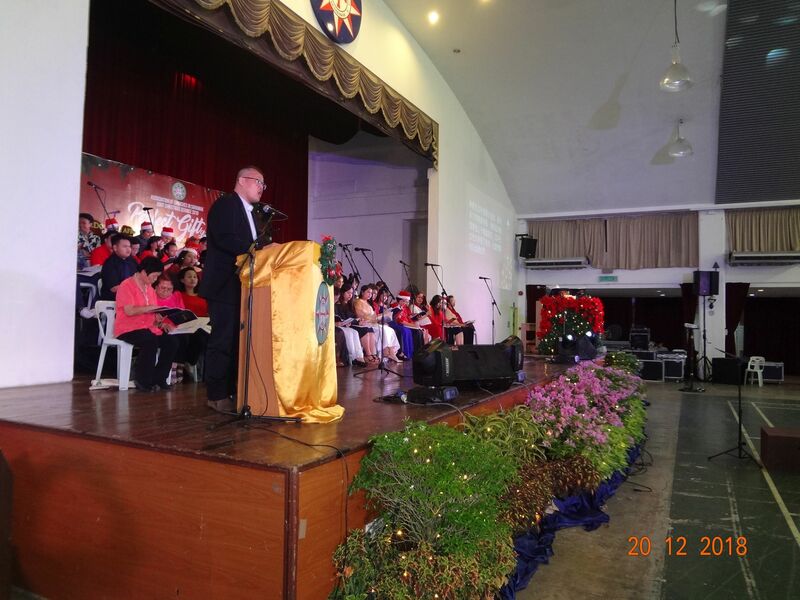 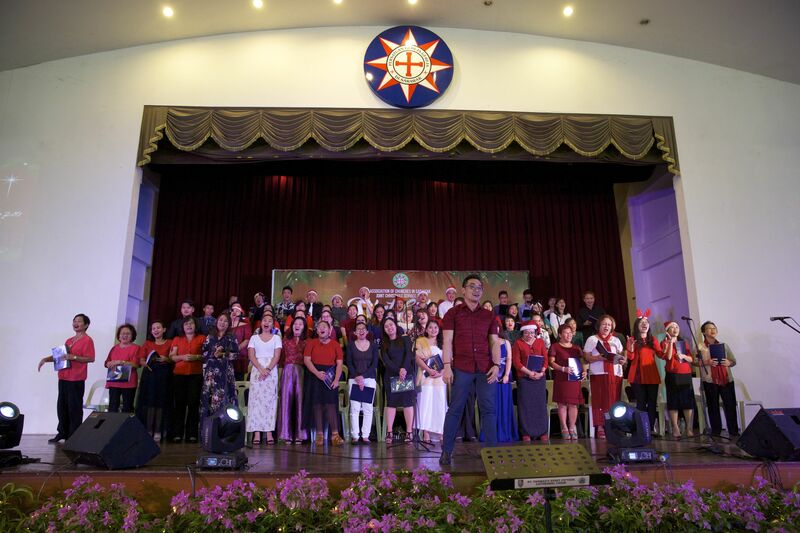 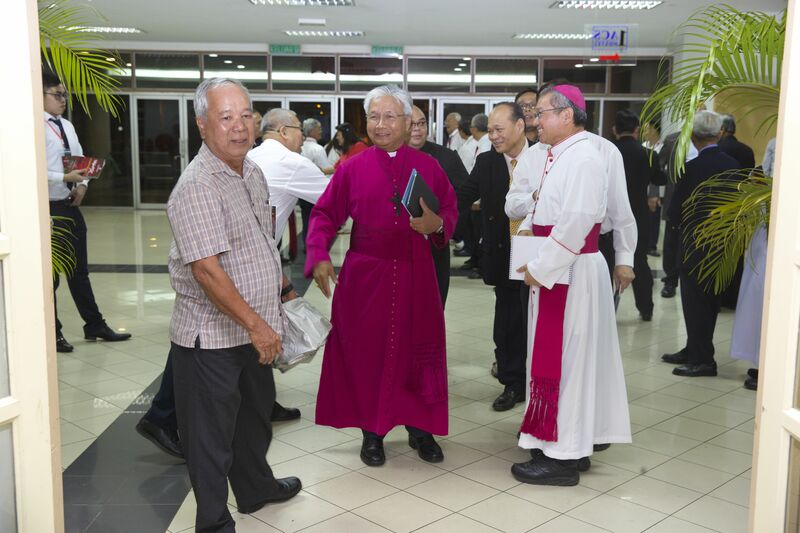 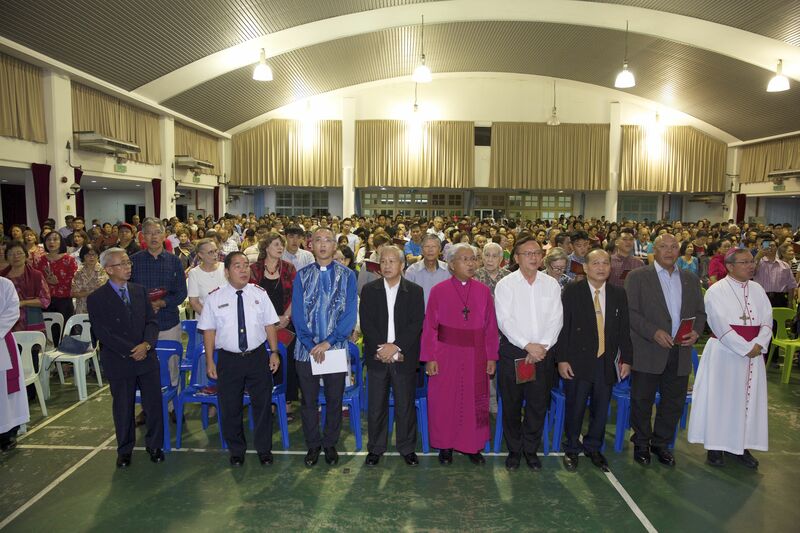 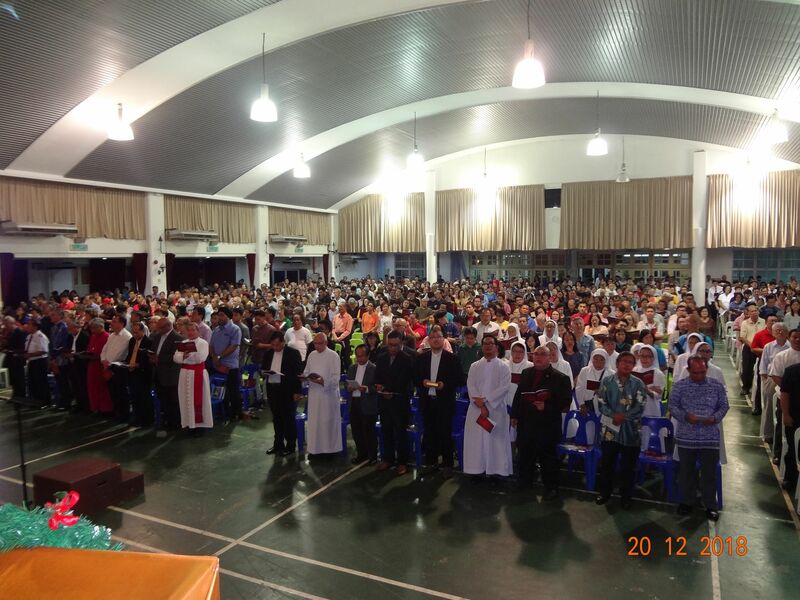 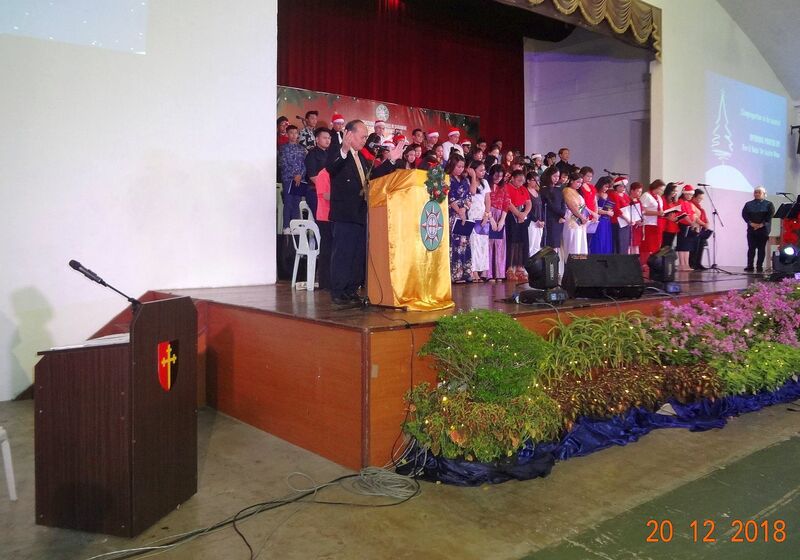 Hosted by the Anglican Church led by the Anglican Bishop of Sarawak and Brunei Darussalam, the Right Rev’d Danald Jute and organised by the Association of Churches in Sarawak. 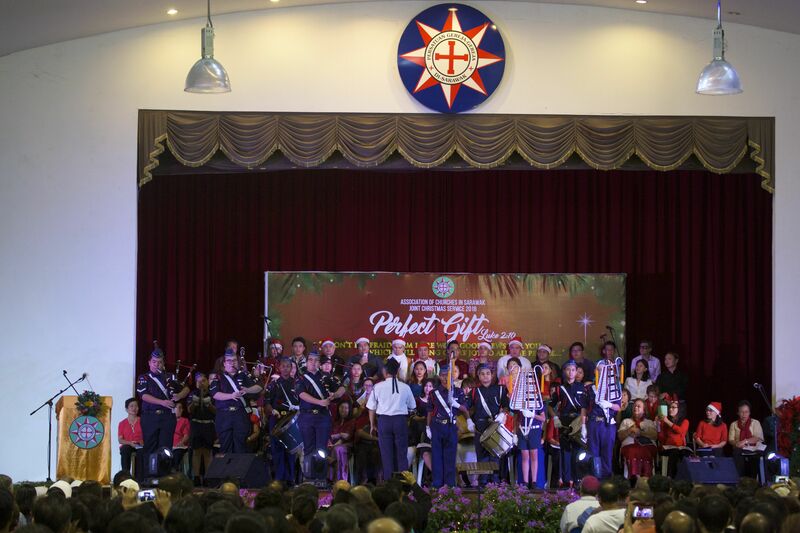 Over a thousand parishioners of the various churches and members of other faith braved the heavy downpour to attend this significant event in the Christian calendar, that is, the birth of our Lord and Saviour, Jesus Christ, King of Kings and Lord of Lords. 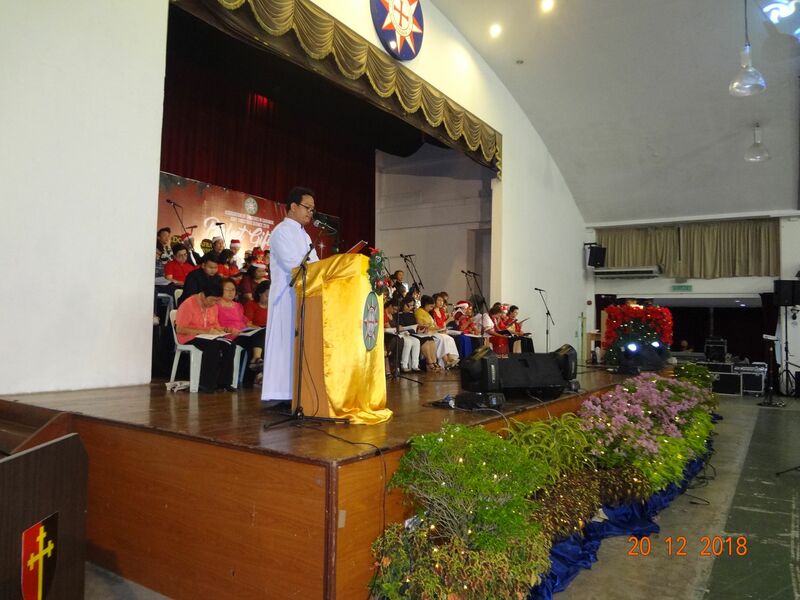 Processional carol was sung during the entrance by the Head of Churches and Readers. 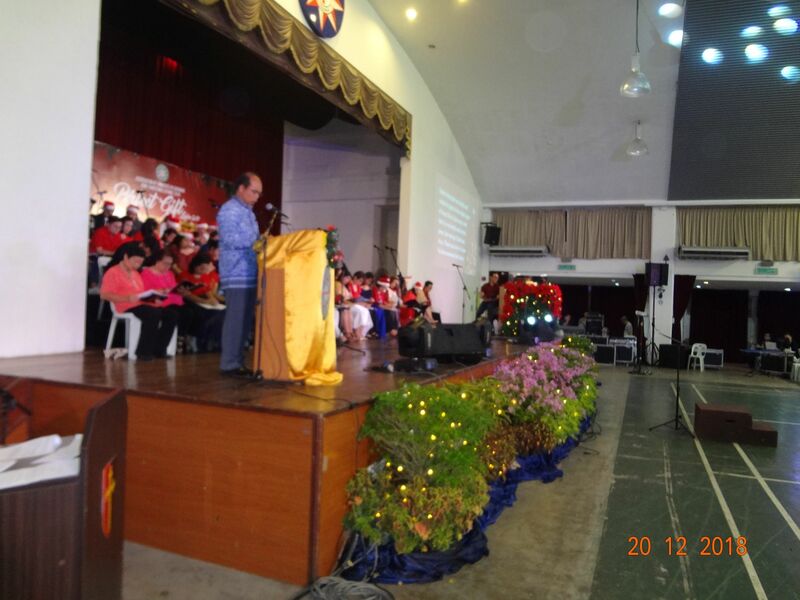 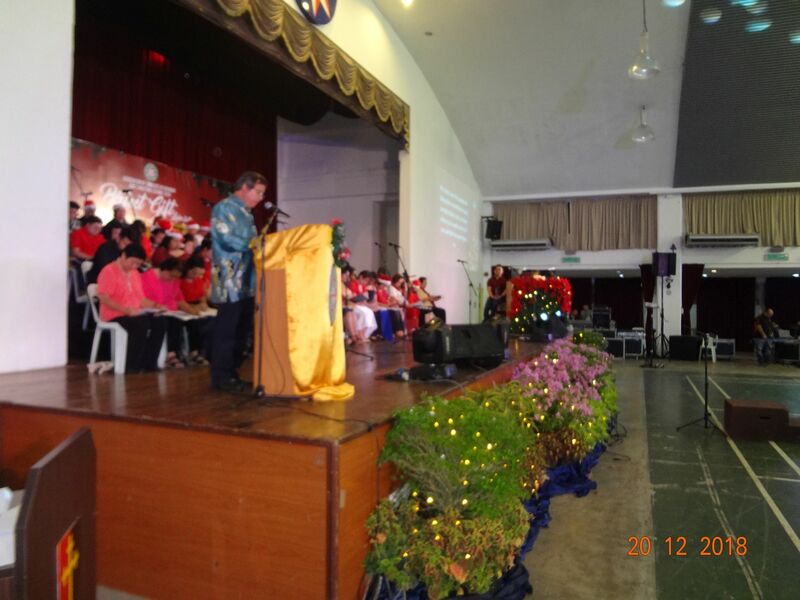 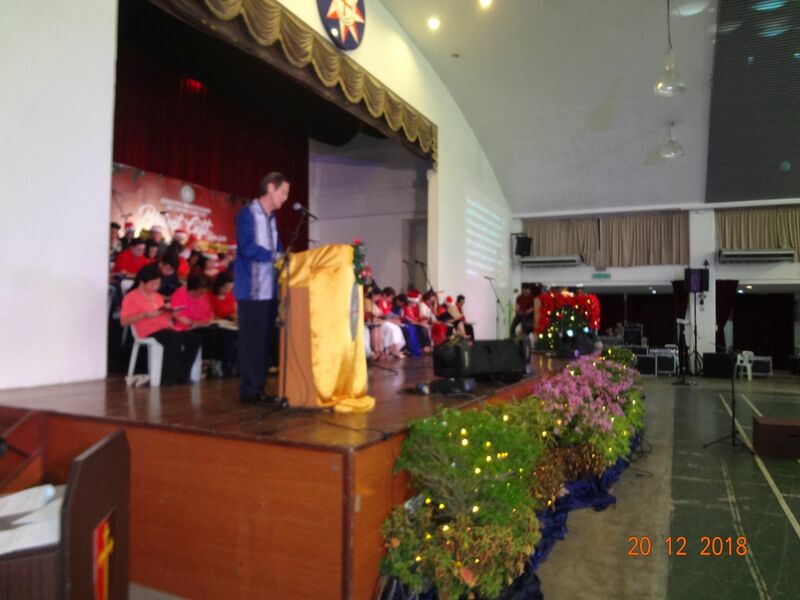 The 1st Reading “Micah 5:2-4” was read in Iban by Rev’d Joshua Mangka of Methodist Sarawak Iban Annual Conference (SIAC). The Choir presented ‘Where Shepherds Lately Knelt’. 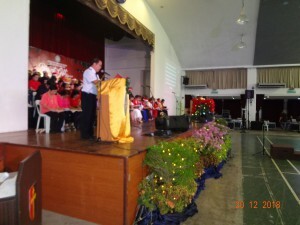 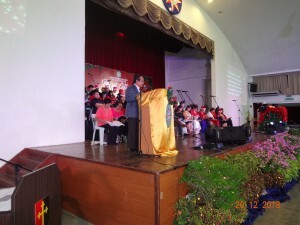 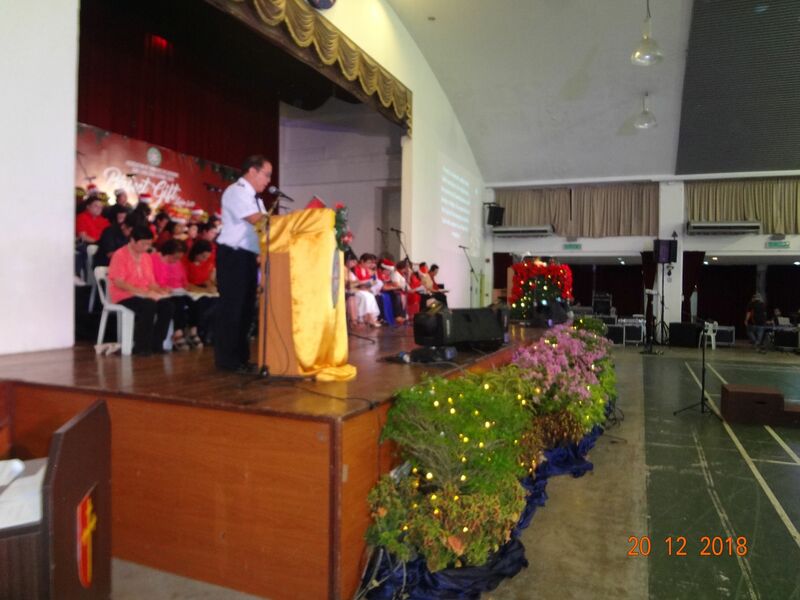 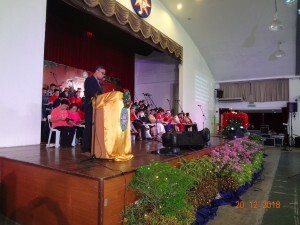 The 3rd Reading “Hebrews 1:1-12” was read b in Mandarin by Rev’d Mok Ing Khang of Sarawak Chinese Annual Conference (SCAC). 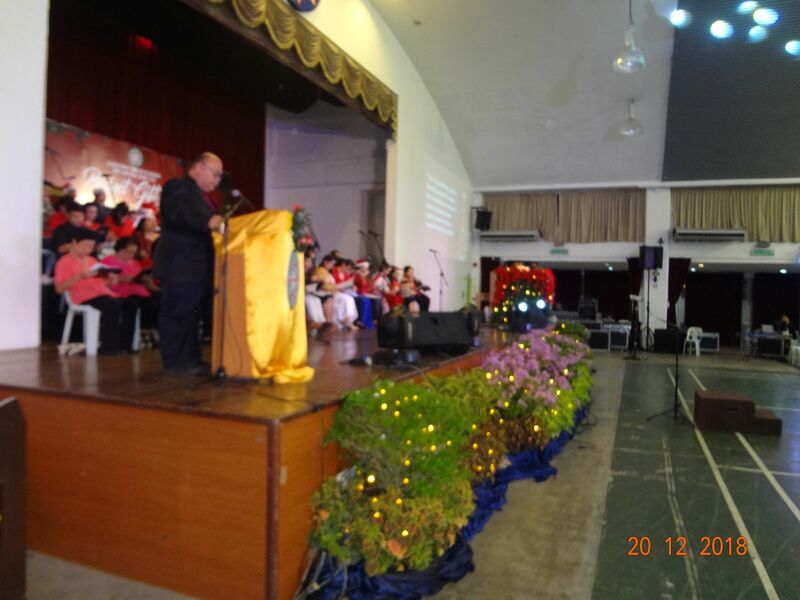 The 4th Reading “Titus 2:11-14, 3:3-7” was read in Bau-Bidayuh by Deacon John Ekly Direk of Roman Catholic Church. 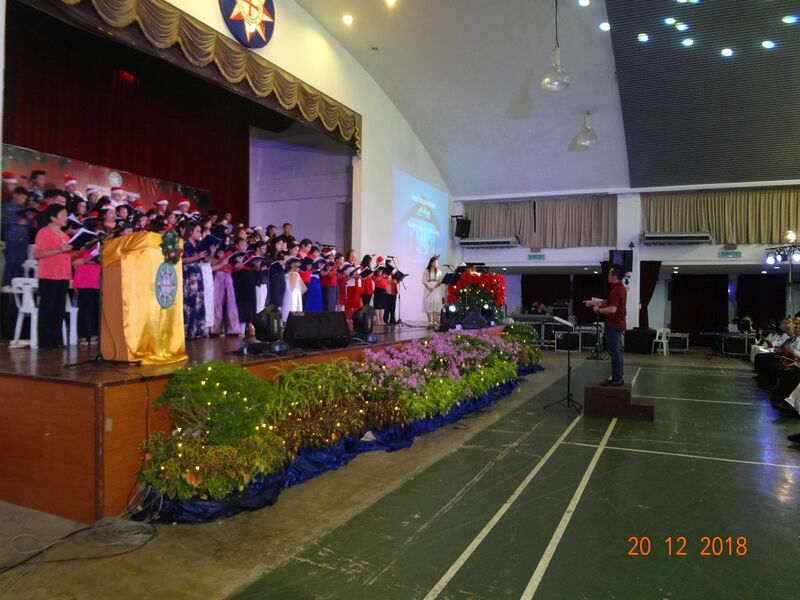 Congregational carol ‘The Angel Gabriel” was sung. 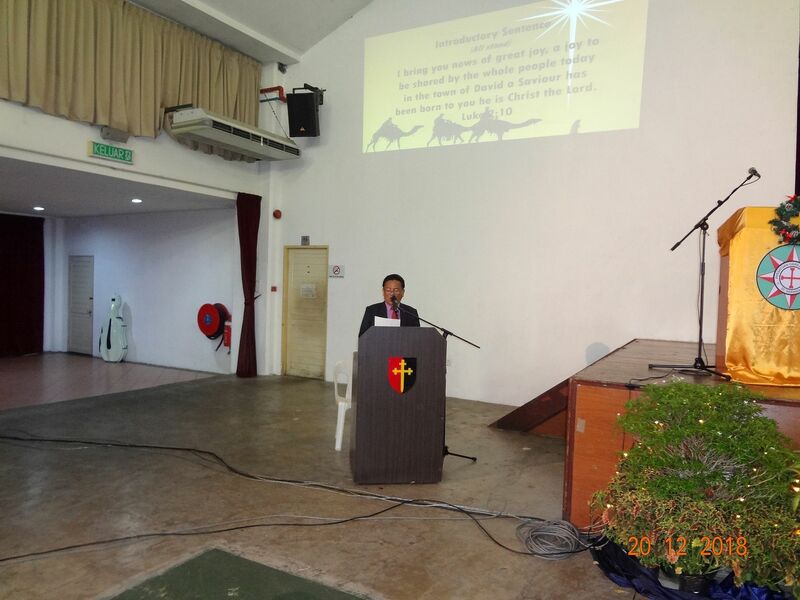 The 5th Reading “Matthew 1:18-23” was read in English by Pastor Brain Scot of Seventh Day Adventist Church. After the readings, Anglican Bishop of Kuching (Sarawak and Brunei Darussalam), the Right Rev’d Danald Jute presented his Christmas Message. 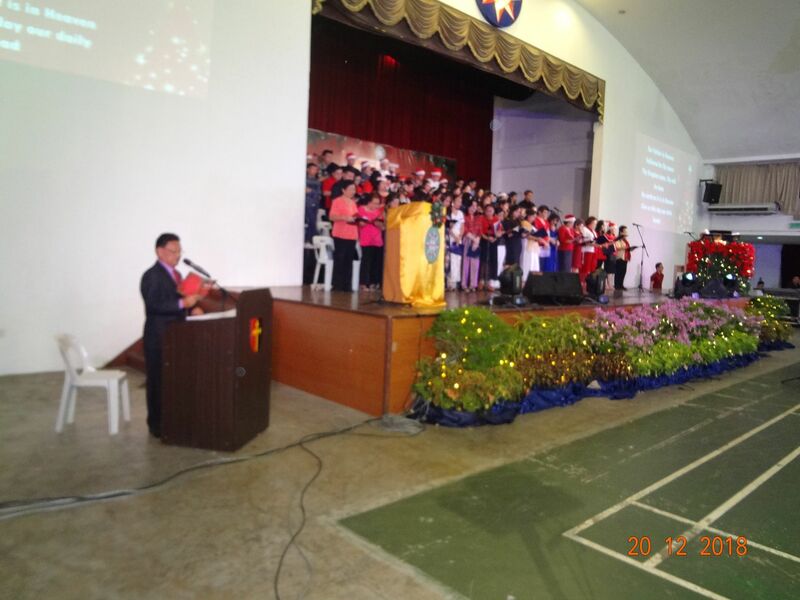 Congregational carols for offertory was sung by all and Rev’d Rodriguez Unak of the Anglican Church recite prayer of collection and Thanksgiving. 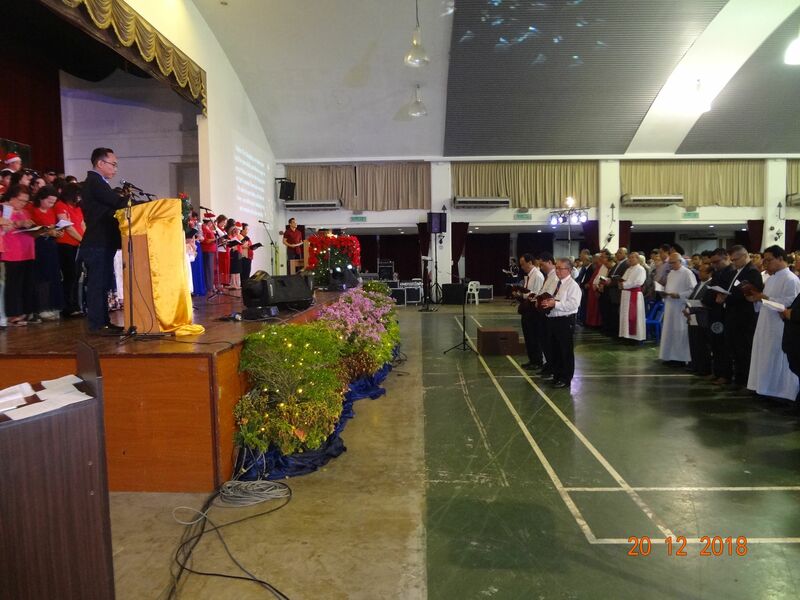 Intercession prayers were prayed : Prayer for the poor, destitute, refugees and immigrants was by Major Francis Ng of Salvation Army; Prayer for Nations, Kings and Leaders by Elder Lis Chin Chong of Sarawak Baptist Church; Prayer for the Christian Unity by Mr. Yap Don Kiang of Scripture Union Sarawak; and finally, Prayer for the family by Mr. Welfred Tungku of Sarawak Campus Crusade for Christ. 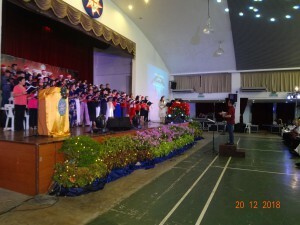 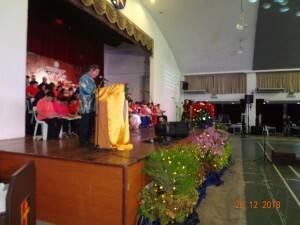 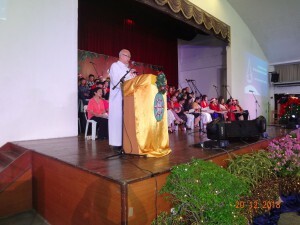 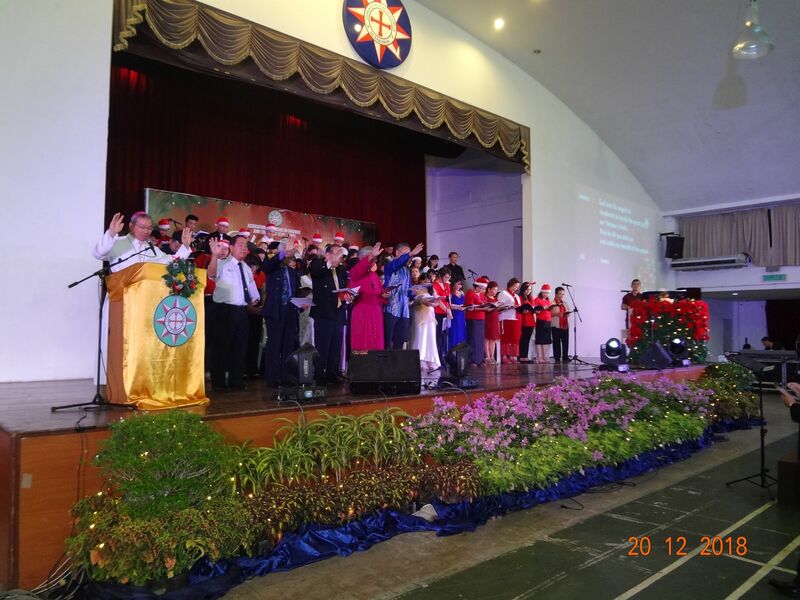 Every one recited “The Lord’s Prayer” led by the Emcee and the Choir presented “Somewhere in My Memory”. 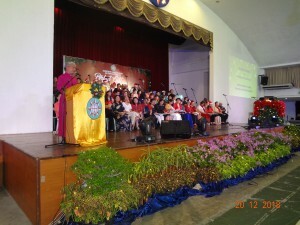 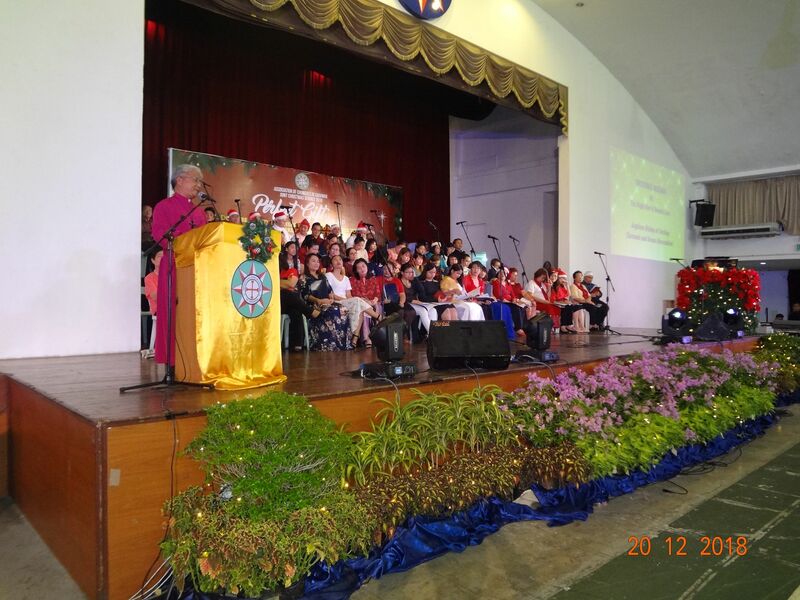 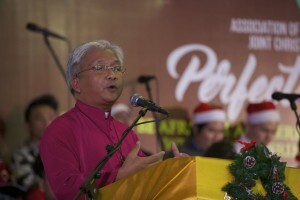 Benediction was led by Archbishop of Kuching from the Roman Catholic Church and Deputy Chairman of Association of Churches in Sarawak, The Most Rev’d Archbishop Simon Poh. All Head of Churches were ushered to the stage. Recessional Carol “Hark! 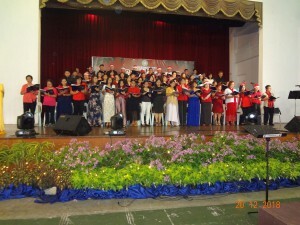 The Herald Angels Sing” was sung at the closing of the session.